In what is a particularly bad news day for tall, awkward comedians from the United Kingdom, HBO has issued a dual cancellation notice for Hello Ladies and Family Tree. 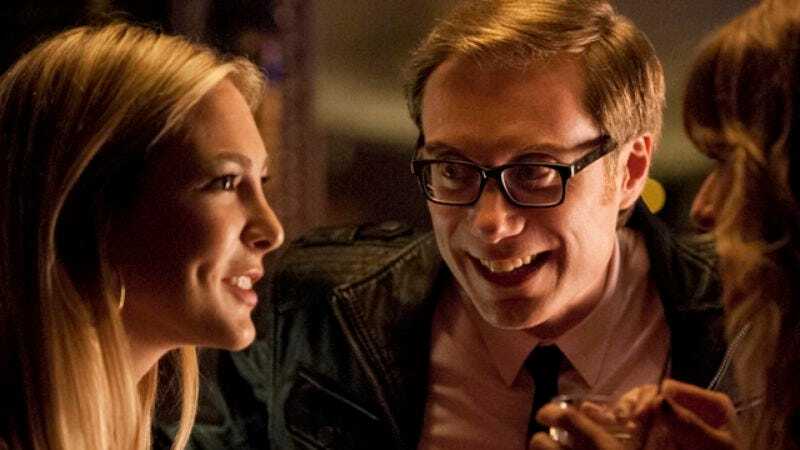 The former, a solo vehicle for Stephen Merchant, concluded its eight-episode run in November, ending on an unresolved note for Merchant’s unlucky-in-love-because-he’s-kind-of-a-douche-about-it protagonist and his L.A. pals. The network tells Variety that the show will get a wrap-up special to provide some sense of closure, though it’s yet to give any details on when it might air. Christopher Guest’s Family Tree—which starred Chris O’Dowd as a similarly adrift, similarly very tall guy searching for renewed purpose by tracing his roots all the way back to America—also ended on a bit of an ambiguous note, though it was one that could easily be accepted as a series finale if it needed to be. Which is fortunate, seeing as there’s no indication Family Tree will get any kind of wrap-up special; let’s all just assume that O’Dowd’s character found happiness in the United States, and that his sister finally married her monkey puppet. Meanwhile, fellow freshman comedy, Getting On, is expected to get a second season, seeing as it did not feature any overly tall people.